Mohammad Ashraful was born 7 July 1984 in Dhaka. He is a Bangladeshi international cricket player and a former captain of both the Test and ODI of the Bangladeshi national cricket team. 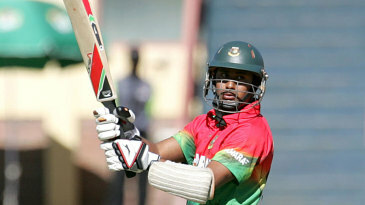 A top-order batsman with a penchant for flashy strokeplay, he has also been selected to represent ACC Asia XI ODI side. Ashraful made his test debut on 6 September 2001 against Sri Lanka. In the first innings he was dismissed for 26 runs from 53 balls, but in the second innings he scored his maiden Test century - 114 runs from 212 balls. The century made him the youngest player to score a test century in an international match. On September 8, 2001, at the Sinhalese Sports Club in Colombo, Mohammad Ashraful turned a terrible mismatch into a slice of history by becoming the youngest man - or boy - to make a Test century. 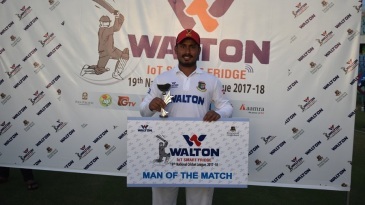 Bangladesh still crashed to heavy defeat, but "Matin" brought hope and consolation with a sparkling hundred, repeatedly dancing down to hit the Sri Lankan spinners, including Muralitharan, back over their heads ... and on his debut, too. It was the day before his 17th birthday according to some sources, and 63 days after it according to most others: either way, he broke the long-standing record set by Mushtaq Mohammad (17 years 82 days) when he made 101 for Pakistan against India in 1960-61. 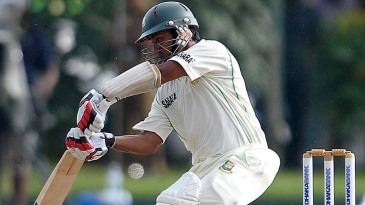 Find Mohammad Ashraful profile and stats of batting, bowling and fielding including latest updated news of Mohammad Ashraful, videos and images at Hamariweb.com. 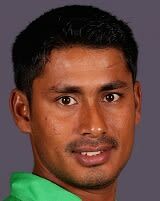 Also find detail Player profile and career statistics of Mohammad Ashraful of Bangladesh. Mohammad Ashraful - Find Mohammad Ashraful of Bangladesh Cricket Team complete player profile, number of matches, runs score, wickets & catches, Statistics, Records, Mohammad Ashraful Latest News, Mohammad Ashraful Videos, Mohammad Ashraful Photos, and other Mohammad Ashraful Cricket Team players.